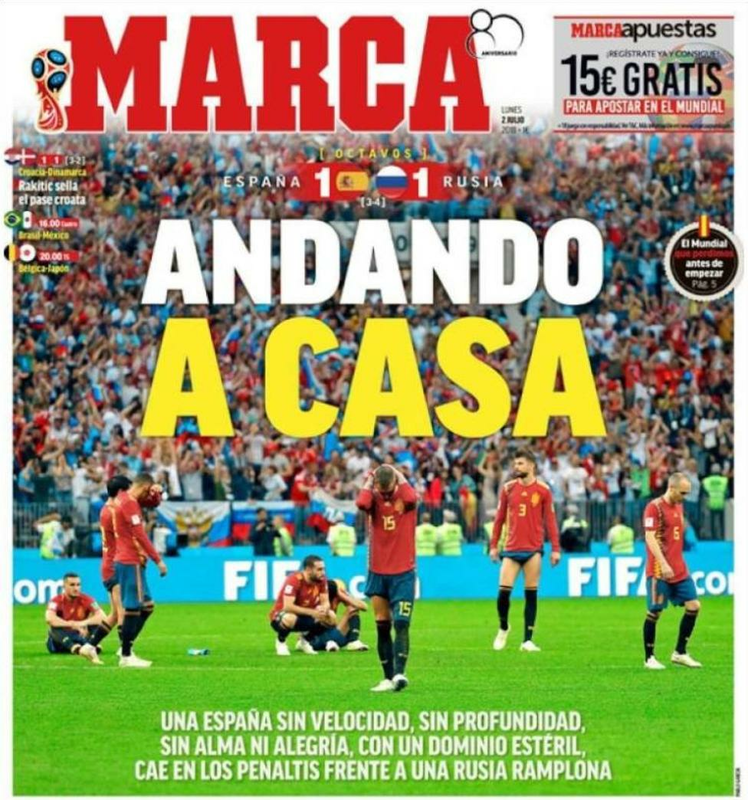 'Stupid', 'negligent', the 'end of an era' - the Spanish media pulled no punches in their assessment of the national team's last-16 exit against Russia. 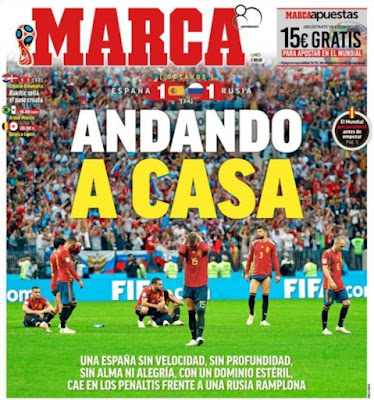 From the sacking of coach Julen Lopetegui on the eve of the World Cup, to selection errors by interim boss Fernando Hierro and an ageing squad, the media blamed many factors. A penalty shootout defeat left the 2010 champions stunned.